ESET®, a global leader in endpoint protection from the European Union, introduces ESET Endpoint Encryption to audiences at the 2017 Gartner Security & Risk Management Summit in London. Following a two-year transition following the acquisition of recognized data encryption company DESlock Ltd., ESET is boosting its brand building activities by fully adding the renowned solution under the parent brand. ESET Endpoint Encryption is a powerful tool with patented share-key management offering a number of encryption components. It includes web browser-based secured remote management, a mobile edition for iOS® and a portable client, which allows secure data access even on workstations without ESET Endpoint Encryption installed. With the General Data Protection Regulation (GDPR) coming into effect in 2018, securing a stable encryption solution for your business is a necessity. 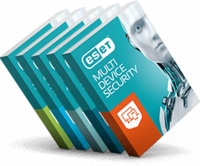 ESET Endpoint Encryption provides the best balance of key length, encryption algorithm and usability, so businesses working with personal data of any kind can comply with the upcoming regulation. This not only affects Europe, but will have wider implications for companies across the globe that hold data on the continent. To learn more about ESET Endpoint Encryption please visit www.eset.com. To find out more about upcoming General Data Protection Regulation, please visit special ESET’s website encryption.eset.com.